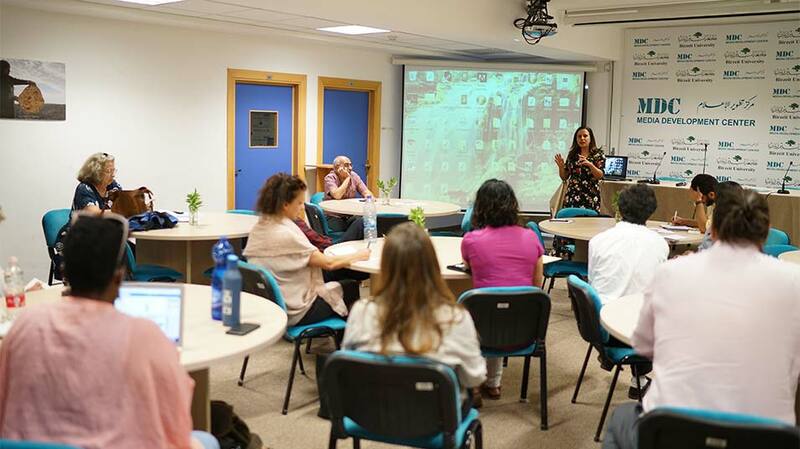 A group of U.S. media and communications professors met media professors and experts from Birzeit University on Tuesday, July 17, 2018, on the university’s campus.The U.S. faculty members’ visit, part of the Palestinian American Research Center’s 2018 Media Development Seminar, included a visit to the Department of Media and the Media Development Center, in addition to meetings with faculty members, staff, and students. Buthayna Alsemeiri, a project manager at the Media Development Center, introduced attendees to the center’s main areas of focus: new media and gender issues. The center addresses these areas, she added, by holding and organizing training courses, led by media experts, that benefit thousands each year. 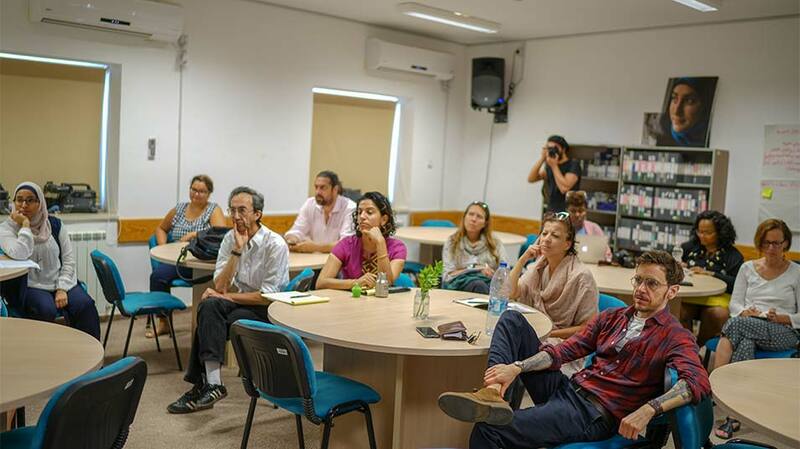 The group also met with representatives from the Public Relations Office, who briefed them on the history of Birzeit University, its current academic offerings, and the difficulties – and triumphs – of education under occupation. The team highlighted Israeli violations against Palestinians’ right to education, which ranged from the 15 closures of the university’s campus (the longest of which lasted 51 months) to the constant harassment and arrest of students and professors. Sixty Birzeit University students are currently detained in Israeli prisons. Hanada Kharma, director of the Palestine and Arabic Studies Program, introduced the attendees to the program, its aims, and its teaching methods. Meeting with Dr. Amir Khalil, the external academic relations officer, the visiting faculty members discussed academic and research cooperation, and student and faculty exchange between their respective universities and Birzeit University.